My apologies to my faithful followers on my lack of content! I have been doing some extra web work on the side and this home ownership thing entails quite a bit of weekly yardwork! My faithful self-built PC of over 10 years old has finally seen its last days of 1's and 0's, so until I can hook the hard drive up elsewhere and grab all my data I will just give the tasting notes on this beer. The recipe, and of course some snazzy label and witty name, will be added back later. I brewed this beer back in February. I did a 90 min mash (while mashing I was boiling my extract American Session ale) and a 90 min boil due to the pilsner malt. It was a pretty smooth brewday considering it was my first double brew! If I recall I was able to do two 5-gallon batches and cleanup in about 7 hours. Since I am now a a Certified BJCP Judge (got my 5th experience point a weekend ago) I guess I should post my tasting notes in BJCP style...though I am looking for feedback on preference vs my normal paragraph style. I feel like paragraph is a little easier to read for the lesser beer geek? 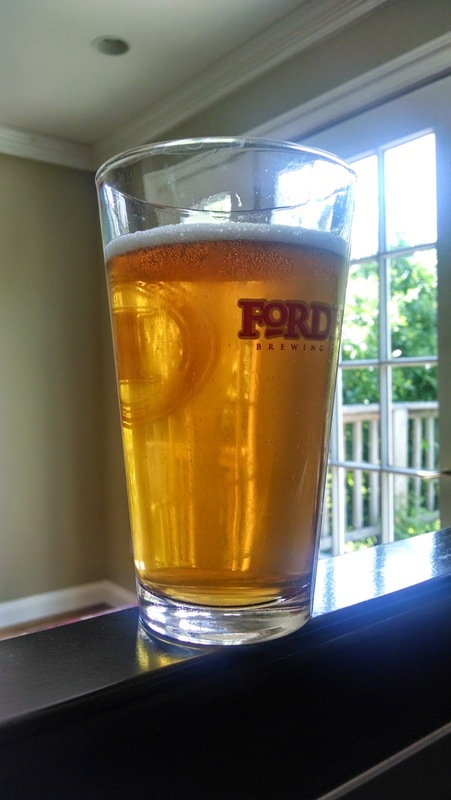 Overall: This belgian pale is a very drinkable and well-balanced ale. It is more towards the spicy floral phenols and does no exhibit enough fruity esters for the guidelines. Probably around the low 30s for an official scoresheet, however, I really have enjoyed this beer. I never considered myself a "belgian" beer guy, favoring more american hop forward beers, but I just keep finding myself pulling this tap vs my other two! It is well balanced and finishes slightly dry making you want to take another sip.